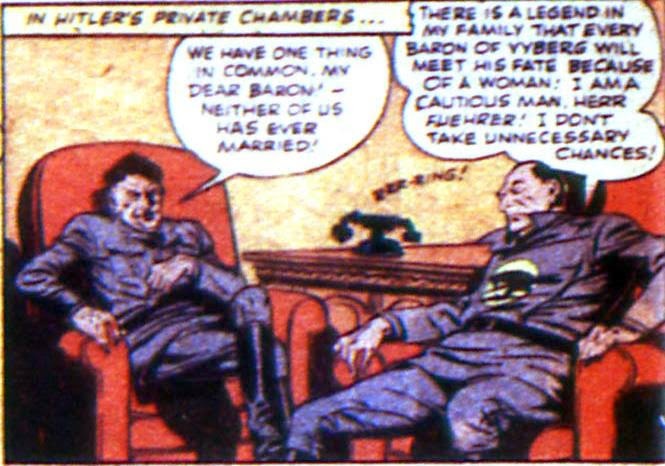 I'm used to Hitler appearing in comics during the war, but seeing him lounging in a chair, chatting about relationships? That's fresh! Ah, but maybe its really one of Hitler's doubles?